Bruce in the USA Tribute Show is one of the best tribute shows in Branson that delivers an incredibly uncanny Bruce Springsteen performance on stage in the live entertainment capital in one night only on July 15, 2018. This tribute show in Branson was proclaimed as “the greatest tribute ever.” It has also been repeatedly acknowledged as the world’s #1 Tribute Show to Bruce Springsteen. As rock ‘n roll legend is frequently on tour, getting tickets to see Springsteen is so hard to get, that’s why an exceptional tribute show, especially in this favorite entertainment destination Branson is so exciting. Only quite a few artists have achieved the level of fame that Bruce Springsteen enjoys. Bruce has received multiple Grammy Awards, as well as other music industry acknowledgements, a Presidential Medal of Freedom, and countless other awards and nominations. 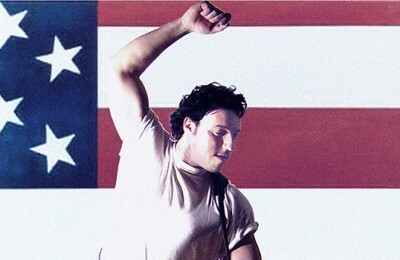 You will hear in this tribute show his hits that include “Tunnel of Love,” “Born to Run,” “Born in the U.S.A.,” “Hungry Heart,” “Glory Days,” “Cover Me,” “Human Touch,” “Better Days,” “I’m On Fire,” and the unforgettable “Dancing in the Dark,” the video of which helped launch the career of actress, Courtney Cox. With so many amazing music produced, received many incredible honors, only an extremely produced performance could appropriately pay tribute to such a rock icon – Bruce in the USA: The World’s #1 Tribute Show to Bruce Springsteen & The E Street Band is more than up to the challenge, especially in the near perfect impersonation of former drummer, Matt Ryan, a phenomenal singer, guitar player, and producer, who’s had the best possible experience as a tribute artist of which he has also portrayed Elvis for Legends in Concert in Las Vegas. This Tribute Show to Bruce Springsteen at the Andy Williams Performing Arts Center & Theatre will be a family-friendly performance that’s suitable for guests of all ages. The theater is one of the most significant structures in Branson where the grounds are beautifully landscaped, and it’s the only local theater to be featured in Architectural Digest, and awarded the State of Missouri’s Conservation Award for Developed Land Use. This tribute show to the incomparable Bruce Springsteen is first-rate and more than worth the trip to Branson for a one-night only performance show. Born In The USA Tribute Show is much more than just another tribute show, it gives everyone in the audience a high-energy musical experience with astounding performance of Bruce Springsteen & The E Street Band. Tribute artist Matt Ryan began portraying Bruce Springsteen in 2000, in Legends “full scale” Las Vegas Show. The great success Matt achieved in the famous Las Vegas show brought him to performances across the world, eventually evolving his character into Bruce Tribute Show. The Bruce In The USA Band consists of seasoned world class professional musicians. This tribute show in Branson has also hosted musicians from such bands/artists as Queen/Paul Rogers, Meatloaf, Blue Oyster Cult, Hall and Oats, Joe Cocker, The Ojays, Aretha Franklin, David Cassidy, The Temptations, Slash and many more.